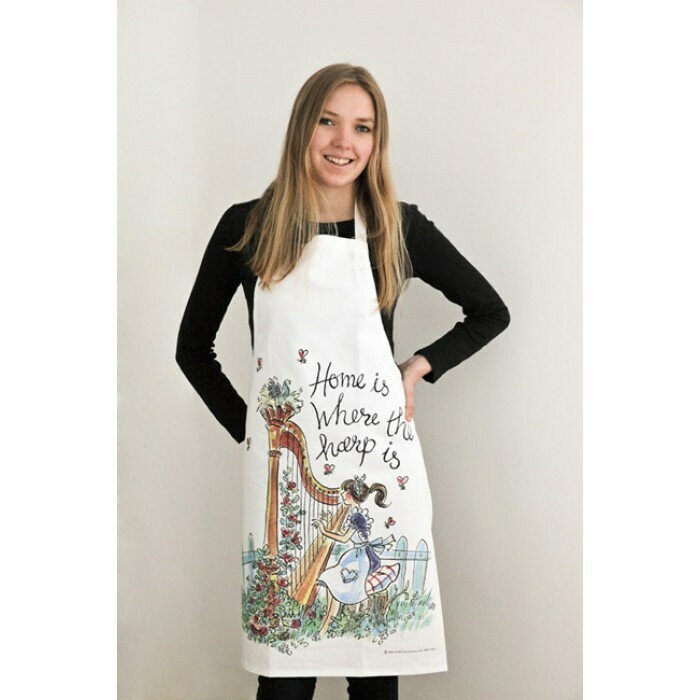 Our unique aprons are made from quality white heavyweight cotton drill (255 gsm, 9 oz) and have quality cotton neck and body ties. 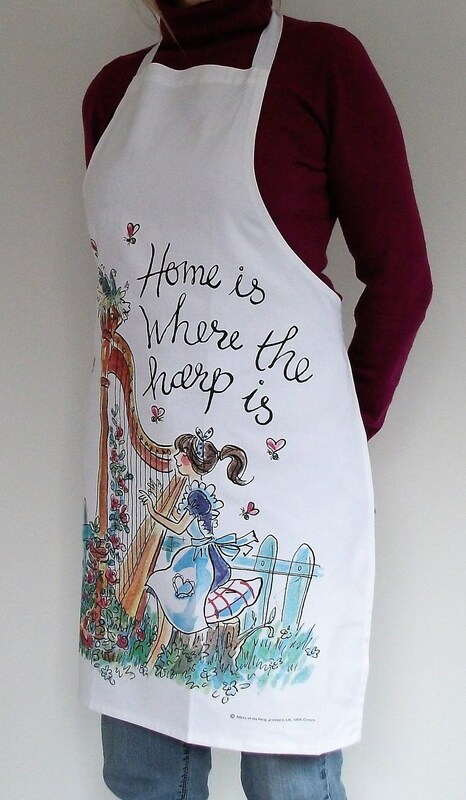 Our specially commissioned “Home is Where the Harp Is” artwork is featured on the front, making this an eye-catching and original apron! 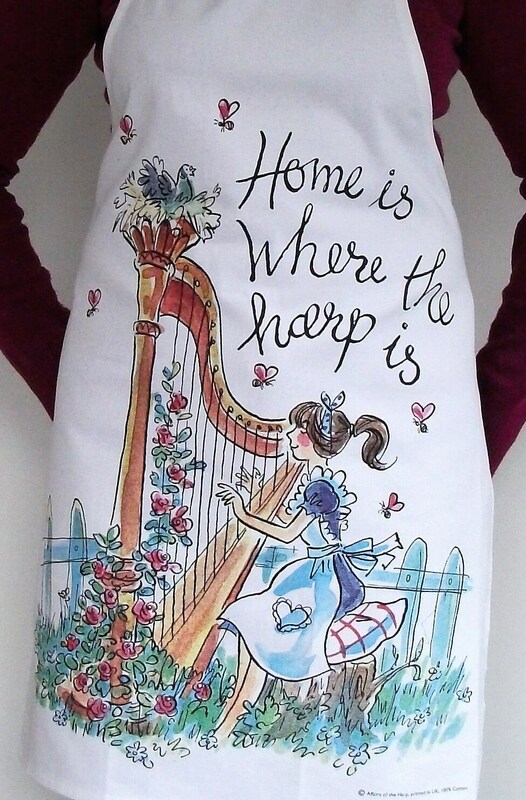 It features a homely picture with lots of delicious little details, like the roses and the birds nesting on top of the harp, whilst the delightful harpist is playing away to her harp's content !! It is an ideal gift for a harpist or harp lover or anyone, for that matter, who appreciates music and has a good sense of fun! 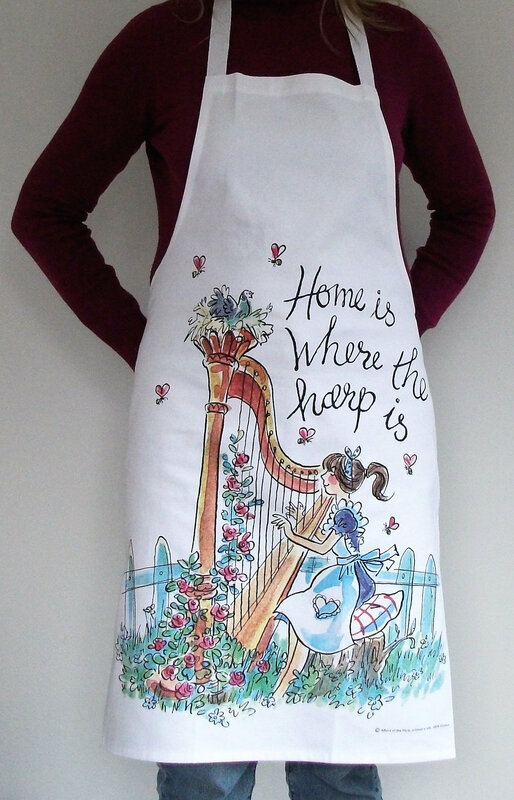 Apron width : 25 ins /64 cms - fabric width not including ties. 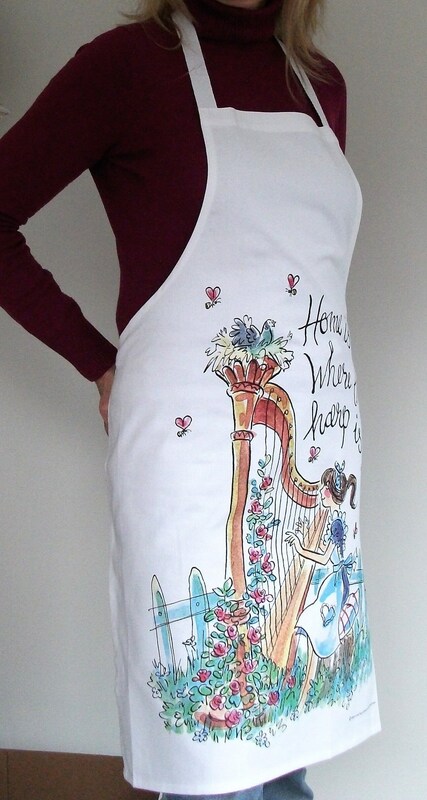 Darling apron and towel! It shipped immediately and arrived within about two weeks from the UK to the western US. Very pleased!